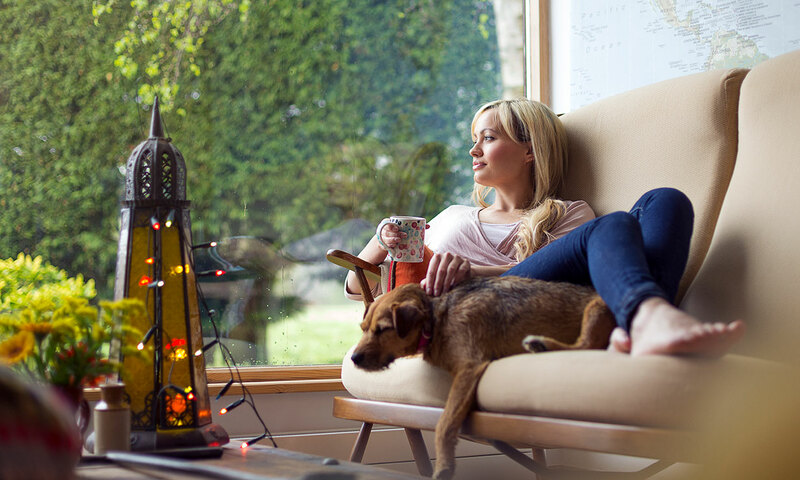 If you use very little gas and electricity, or have a second home that isn’t occupied all year round, your tariff’s standing charge means you might be overpaying for energy. You can cut your energy costs by paying a very low standing charge or even finding a tariff without one, if you know where to look. That’s where we come in. We’ve analysed hundreds of gas and electricity tariffs to find which ones are cheapest if you use little energy, plus which ones have no standing charge. Low energy user, second-home owner, or simply looking to save on your energy bills? Compare gas and electricity prices using our independent Which? Switch to find out how much you could save. You can also call us on 0800 410 1149 or 01259 220235. Unit rate – the price you pay per unit (kilowatt hour; kWh) of gas or electricity you consume. Usually, you’ll have separate standing charges and unit rates for gas and electricity. Your total unit rate cost depend on how much energy you use. But you pay the standing charge every day, regardless of whether you use any energy. So if you use very little energy, or your second home is vacant for large parts of the year, you’ll still be paying the standing charge every day. This adds up over the course of a year, and makes up a significant chunk of your bill if you use little energy. British Gas’s standing charge on its standard variable deal is 26.01p per day for both electricity and gas. So you’ll pay £190 per year even if you don’t use any energy. British Gas’s standing charge isn’t the priciest, though – Scottish Power’s adds up to £200 per year. Some energy deals have very low standing charges, and a few have none at all. ‘Zero’ standing charge, or tariffs which just have a unit rate, can be ideal for low energy users. E Energy Reward Smart Oct 2017 is a variable-price tariff available to prepayment customers only. It doesn’t have an exit fee to leave. Ebico’s Zero tariff is a variable deal from this not-for-profit supplier. It’s not available to those with prepayment meters. Eversmart Energy’s Goodbye Standing Charge does what it says in the name. It’s a fixed-term tariff but has no exit fees. Extra Energy Variable Price v2 is a variable-rate tariff with no exit fees. Extra Energy didn’t compare well in our latest energy survey, based on its customers’ feedback. Solarplicity says that there are no standing charges on any of its tariffs, fixed or variable. It offers 100% renewable electricity. Utilita’s tariffs for prepayment meters are without standing charges. However, its Premium Energy tariff charges 40p for the first 1kWh of electricity used per day, 30p for the first 1kWh of gas used per day, and a much lower rate for subsequent units (of kWhs) used. The first unit’s rate is pricier than the daily standing charge on other companies’ tariffs. £566 Economy Energy Online Saver. Fixed tariff with £25 exit fee per fuel. £570 Together Energy Fixed November18 v2. Fixed tariff with £30 exit fee per fuel. £571 Usio Energy Supply Smart Home after 7pm 0.2 – paperless. Variable tariff which requires a smart meter. Pay £2 extra for 100% renewable electricity. £571 Usio Energy Supply Smart Lifestyle Fixed Green 0.2 – paperless. Fixed tariff with no exit fee which requires a smart meter. There’s a variable version of this tariff costing £2 more per year. £581 Green Network Energy Italian Touch 12 Month Fixed v10 – paperless. Fixed tariff with £25 exit fee per fuel. All of these are at least £192 cheaper, per year, than British Gas’s standard tariff. 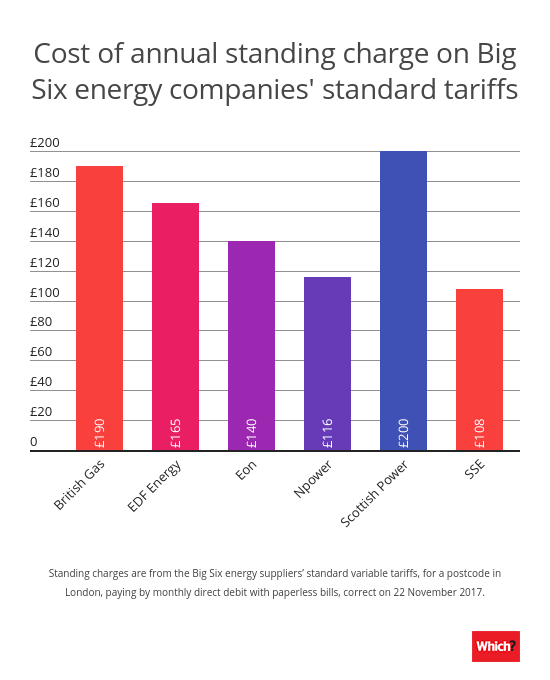 But if you’re a low energy user, Scottish Power’s standard tariff is the priciest standard tariff for you among the Big Six energy suppliers. It costs £802 per year on average; £29 more than British Gas. 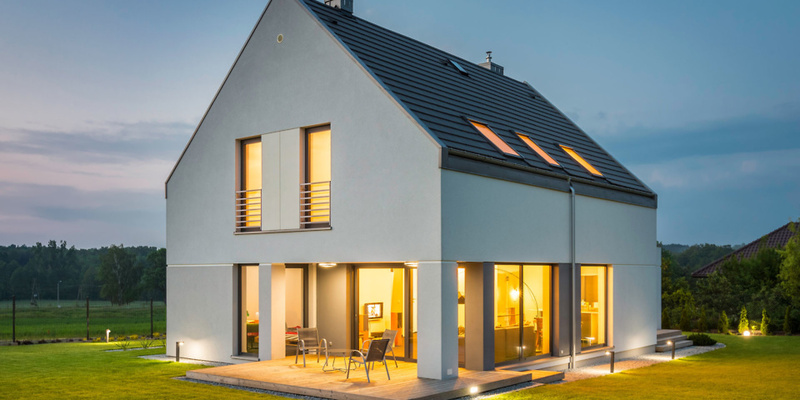 If you own a second home that’s often unoccupied, or spend lots of time away from home, follow our tops tips to keep your home safe, secure and energy efficient. Make your home look occupied, even if it isn’t. Permanently closed curtains or piles of unopened post on the mat can reveal that no one’s home. Ask a neighbour to sort the post and to turn on the occasional light. Easily accessible windows should be double-glazed, ideally, and have locks that secure to the frame. Doors and frames should be solid, at least 4.4cm thick and fitted with a five-lever mortise deadlock. Doors with glass panels can be fitted with laminated glass or glazing film for extra protection. 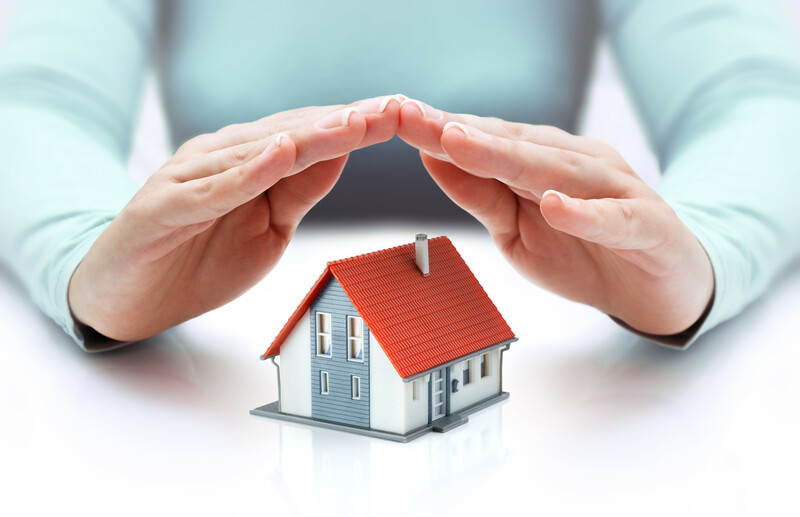 A visible burglar alarm system can help put off potential burglars, and wireless security cameras let you see what’s going on inside your property, wherever you are. If the weather is cold when your home is empty, use the ‘frost’ setting on your thermostat or set the heating to come on for a couple of hours (at a low temperature) each night to prevent damage from freezing. Read our comprehensive guide to home security for more tips on window and door security, security lights, home CCTV and burglar alarm systems. Energylinx supplies our energy pricing and tariff data. Prices here are based on a low energy user (using Ofgem averages of 1,900kWh electricity and 8,000kWh gas per year), paying by monthly direct debit and with paperless bills. Prices are averaged across regions in England, Scotland and Wales and are correct on 22 November 2017. Not a low energy user or second-home owner? Check the top five cheapest energy deals for November to see the best deals for average energy users. Should you get a home energy grant?